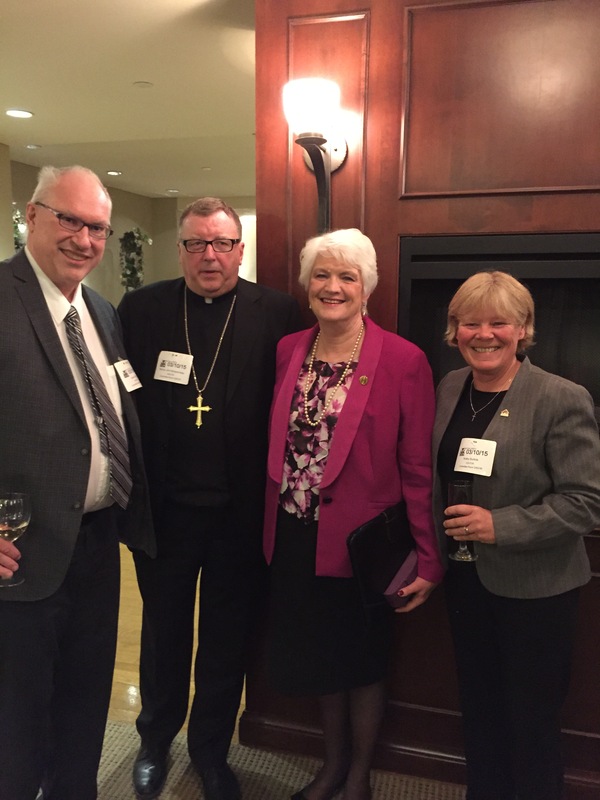 (l.-r.) James Ryan, Ontario English Catholic Teachers’ Association President, Bishop John Boissonneau, Assembly of Catholic Bishops of Ontario, Minister of Education, Liz Sandals, and Kathy Burtnik, Ontario Catholic School Trustees’ Association President. 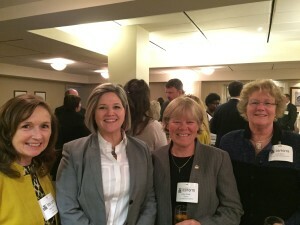 The joint initiative between OCSTA, OECTA and the Assembly of Catholic Bishops of Ontario (ACBO) called “FACE” (Friends and Advocates for Catholic Education), recently hosted the annual Lobby Day at Queen’s Park for Catholic Education. Coordinated by FACE Project Manager Carole Allen and Enterprise Canada consultants, the day involved several meetings between new MPPs and members of the FACE delegation team which included representatives from OCSTA and OECTA. 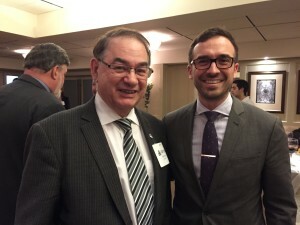 Members of the ACBO were unable to participate in meetings this year, but were in attendance at the closing reception. 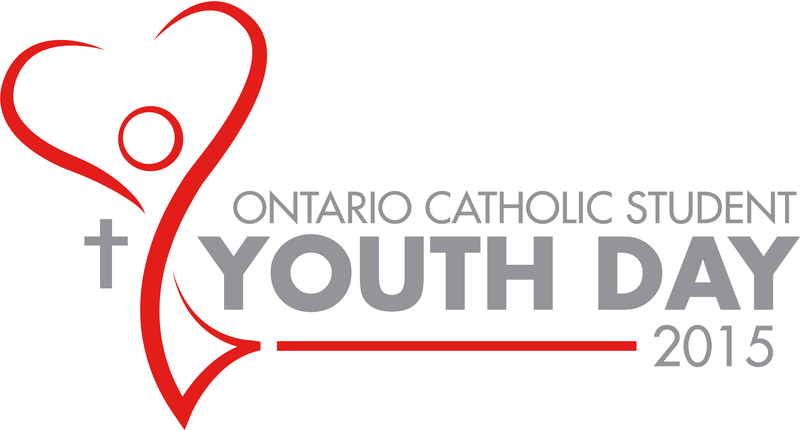 Each MPP meeting provided an opportunity for FACE delegation team members to discuss the contributions, made by the students and staff in Catholic schools, to the vitality and success of Ontario’s distinctive and acclaimed education system. 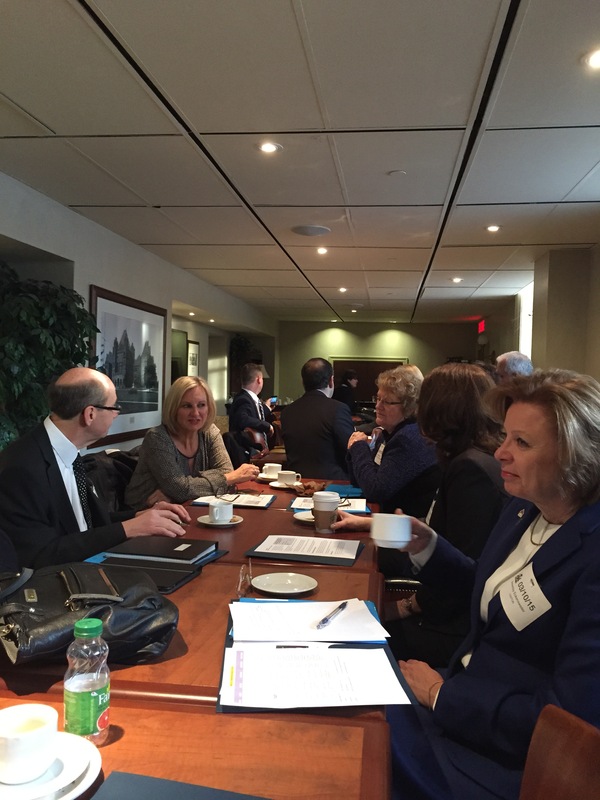 Preparing for meetings with MPPs (click to enlarge picture). 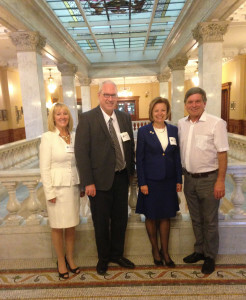 OCSTA Representatives: Kathy Burtnik, Niagara CDSB and OCSTA President, Bob Schreader, Renfrew CDSB and OCSTA Vice President, Ann Andrachuk, Toronto CDSB, Anna Da Silva, Dufferin-Peel CDSB and OCSTA Director, Beverley Eckensweiler, Bruce-Grey CDSB and OCSTA Director, Michelle Griepsma, PVNC CDSB, and Linda Ward, St. Clair CDSB and OCSTA Director. OECTA Representatives: James Ryan, OECTA President, Marshall Jarvis, OECTA General Secretary, David Church, Sonia De Petta, Andrew Donihee, Cheryl Fullerton, Ann Hawkins, Victoria Hunt, Julie Pauletig, Liz Stuart, and Marcie Tombari. ACBO Representatives: Bishop John Boissonneau and Bishop Dan Miehm. Mrs. Cristina Martins: …I am proud to be part of a government that recognizes the importance of investing in people, specifically through investing in education. 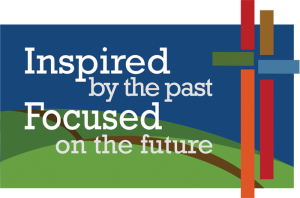 We are proud of the progress we have made across Ontario in all of our four diverse, publicly funded school systems: the English public, English Catholic, French public and French Catholic systems. 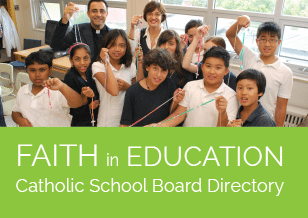 …We believe the Catholic boards play an important part of our vibrant and diverse education system. That’s certainly true in my great riding of Davenport, where we have a number of wonderful Catholic schools. Hon. Liz Sandals: As I mentioned earlier today, the Friends and Advocates of Catholic Education are here at Queen’s Park, and I’d like to welcome supporters from the Ontario Catholic School Trustees’ Association, the Ontario English Catholic Teachers’ Association, and the Assembly of Catholic Bishops of Ontario, who will be here later in the day. Indeed, as the members says, together we have indeed built an excellent system. Over the past 10 years, we’eve been able to raise the graduation rate from 68% to 83%, and our government remains committed to providing an excellent education, and that includes the Catholic school system. Mrs. Cristina Martins: We are recognized around the world as having one of the best publicly funded education systems in the English-speaking world. I have two young sons that are part of the Catholic school board here in the city, and I know first-hand this is so true. 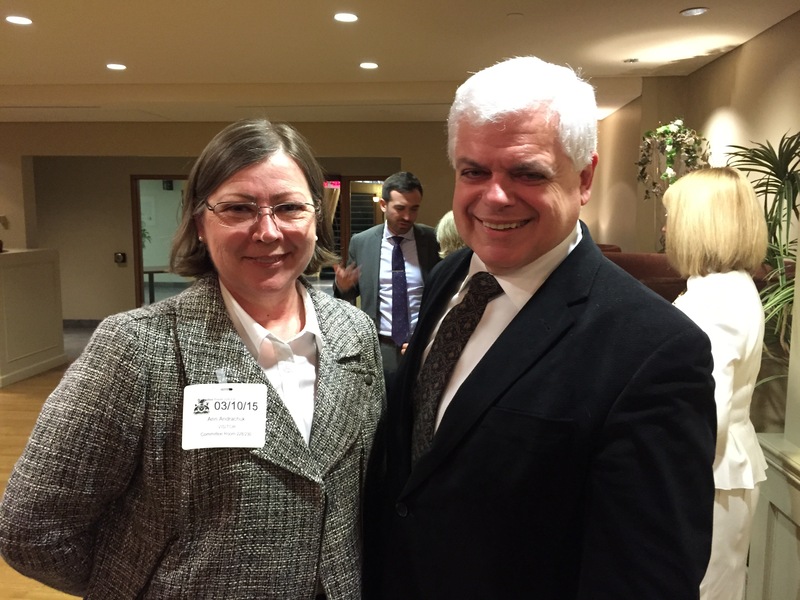 Following the meetings with MPPs, the FACE delegation team hosted a Legislative Reception welcoming the Minister of Education, Liz Sandals, PC Education Critic Garfield Dunlop and NDP Education Critic, Peter Tabuns, each of whom addressed the gathering with engaging and positive remarks about the value of Ontario’s Catholic schools. 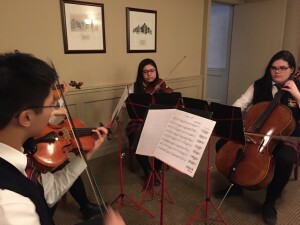 Students from Cardinal Carter Academy for the Arts (Toronto CDSB). 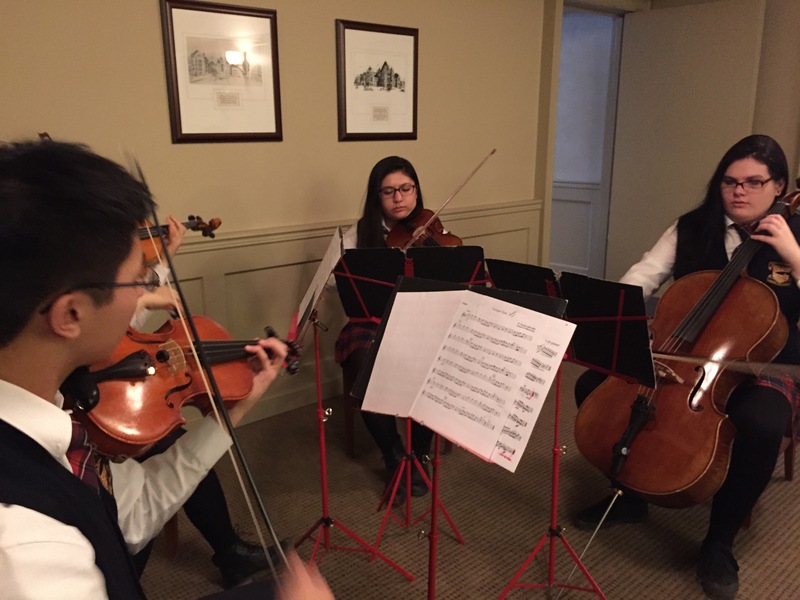 Key highlights of the evening included an outstanding string quartet performance by students from Cardinal Carter Academy for the Arts (Toronto Catholic District School Board) and the welcome participation of Student Trustees, Christopher MacDonald, Hannah McGroarty, Jason Barron, Kim Gubbels and Joel Louzado. 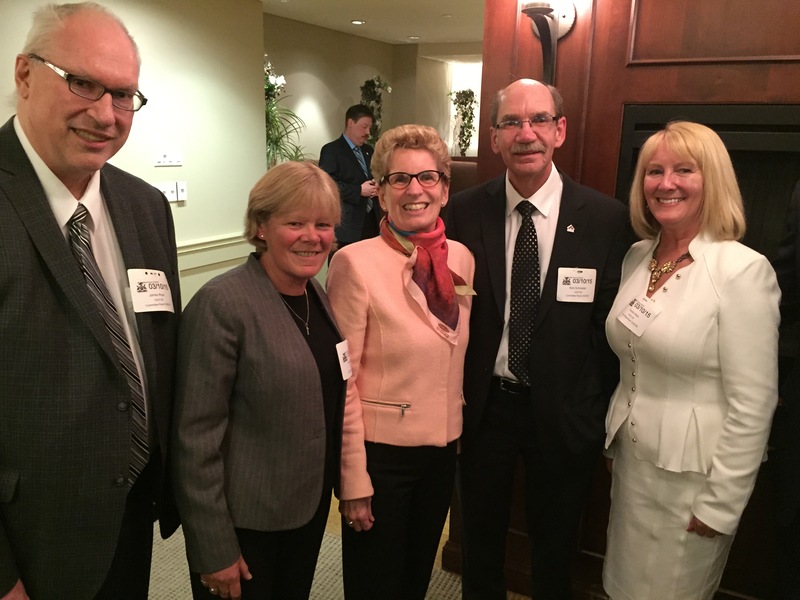 (l.-r.) FACE Project Manager, Carole Allen; OECTA President, James Ryan; OCSTA Director, Beverley Eckensweiler; and MPP, Garfield Dunlop. (l.-r.) Durham CDSB Trustee, Kathy LeFort; NDP Leader, Andrea Horwath; OCSTA President, Kathy Burtnik; and OCSTA Director, Linda Ward. 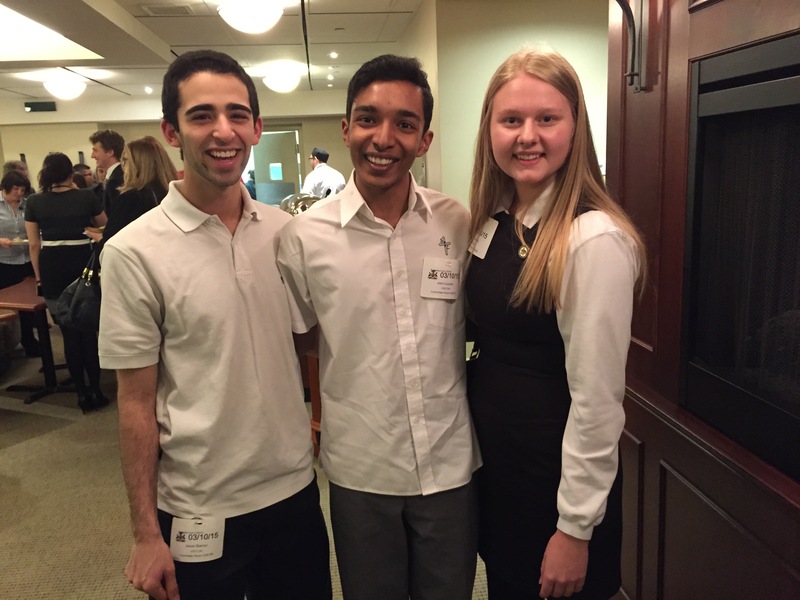 Student Trustees: Jason Barron, Joel Louzado and Kim Gubbels. 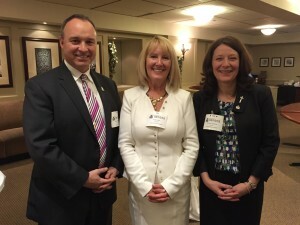 AFOCSC Executive Director, Benoit Mercier; FACE Project Manager, Carole Allen; and Peterborough Victoria Northumberland & Clarington CDSB Chair, Michelle Griepsma. 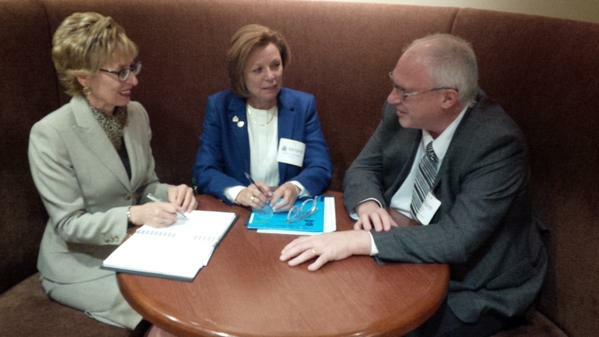 (l.-r.) MPP Daiene Vernile, OCSTA Director, Beverley Eckensweiler, and OECTA President, James Ryan. 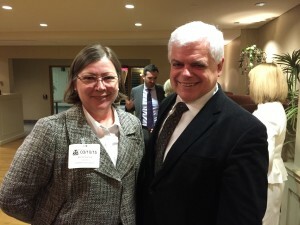 Toronto CDSB Trustee, Ann Andrachuk with NDP Education Critic, Peter Tabuns. 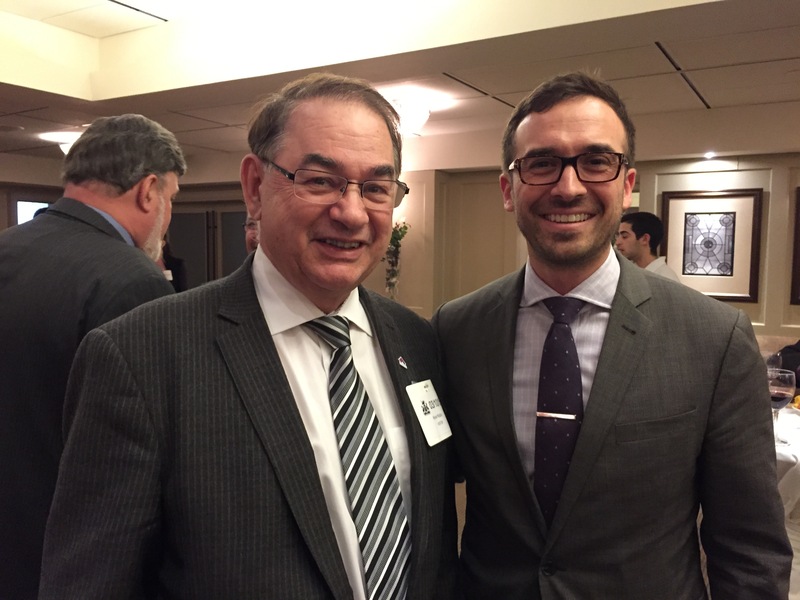 OCSTA Executive Director, Kevin Kobus (at left) and Howie Bender, Chief of Staff, Minister of Education’s Office. A memo was recently sent to all trustees with the announcement that the trustee professional development modules available on this website in the Good Governance Centre, are now accessible at no charge to trustees. 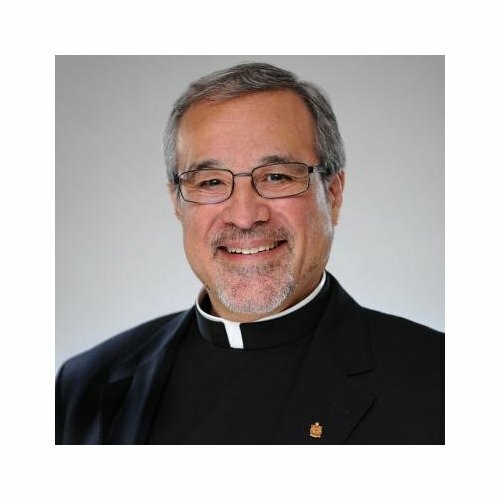 At the core of this content are the 14 modules for trustees developed by the Ontario Education Services Corporation and further enhanced by OCSTA to address the Catholic perspective on each topic. 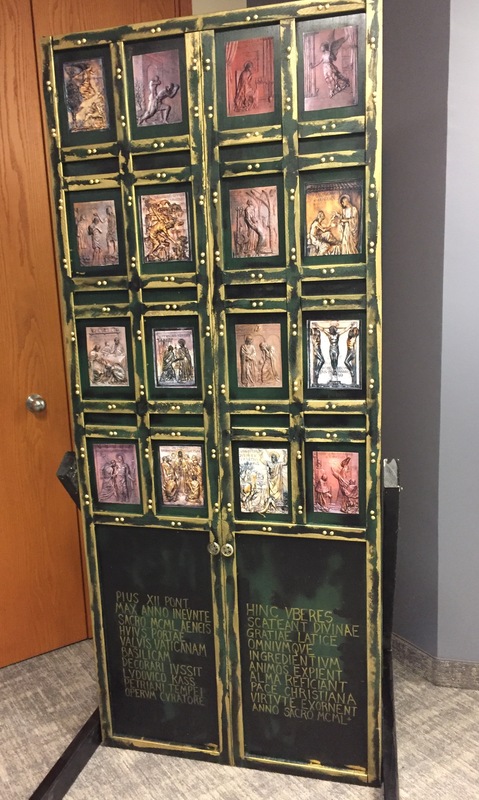 There is also included in this package, a 15th module which was developed by OCSTA to specifically address Catholic education issues. Costs incurred by the association to develop a cost effective way to continually delivery this information going forward is now being covered by the Ministry of Education. 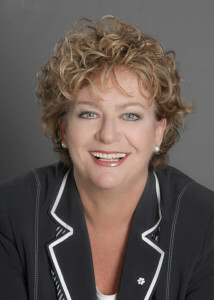 The Good Governance Centre on this website required the Association to incur programming and website development costs to create a “self-directed” way for trustees to receive the multimedia content contained within each module, including the automated self testing tools and certificate generation. Trustees will now have access to this centre and all the content within it, 24-hours a day, free of charge. User IDs and passwords provided to all OCSTA members must be used to access this area of the website. 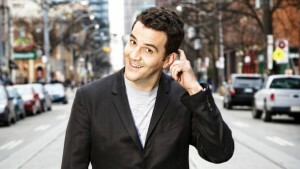 If you do now know your user ID or password, please contact Sharon McMillan at smcmillan@ocsta.on.ca / (416) 932-9460, ext. 232. Instructions for using this online service can be downloaded here. All details about the modules and access to the login link are in the Good Governance Centre. 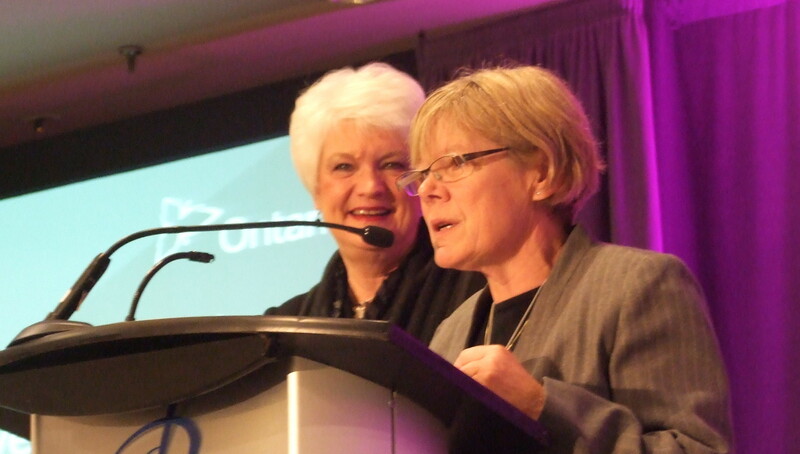 The Catholic Principals’ Council of Ontario (CPCO) would like OCSTA members to be aware of various professional learning opportunities that are being made available to Catholic principals and vice-principals but are also open to non-practicing associates and Catholic partners. March 30, 2015 from 4-5 p.m. – “Having Hard Conversations: How to get through the tough conversations that drive your school and community forward”. April 7, 2015 from 4-5 p.m. – “Generational Savvy: The Multigenerational Workplace – Communicate, Collaborate and Create Community”. Both webinars will be live and interactive – making this the perfect opportunity learn from and with colleagues from across the province in order to strengthen your capacity to navigate difficult but necessary conversations with the many stakeholders you engage with daily as well as how to deepen your leadership capacity. These Adobe Connect “webinar” sessions will allow you to participate from any location – at home or your office – as long as you have internet access. Click here to register. Spaces are limited. $25 fee for non-CPCO members. For more information, please contact CPCO at 1-888-621-9190.